We attempt to nutritionally balance our meals. One as diverse as Thanksgiving dinner is a challenge. But even here we try to avoid adding more than one main starch and as few carbs as possible. The stuffing supplied both the starch and the carbs. The Cranberry Sauce, the Sugar. 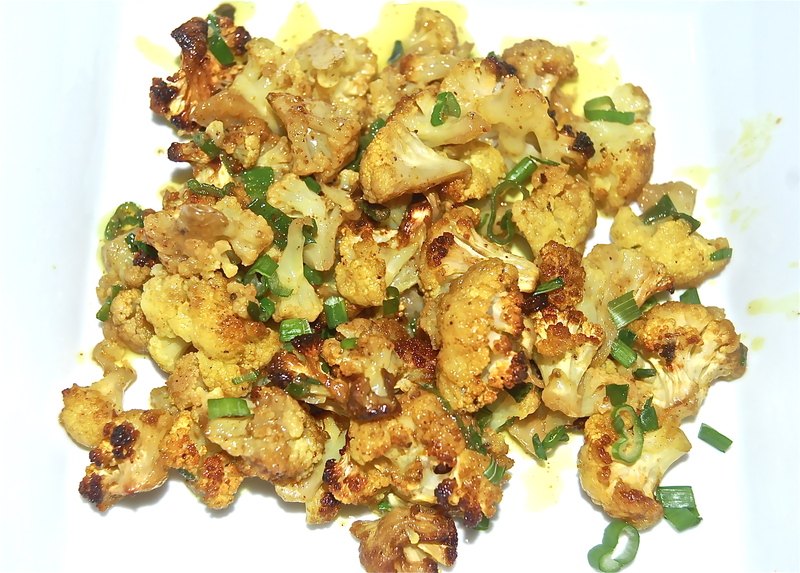 This side dish of Cauliflower Florets with Curry Butter, though certainly not dietetic, was nutritious. Most important, it complemented the main event, the Turkey. 1. With a paring knife, cut the Cauliflower into tiny florets, as small as possible. 2. Meanwhile, bring a large pot of well-salted water to a boil. Working in batches, cook the florets for 1 to 2 minutes, until just cooked but still firm. Drain well & blot on kitchen towels, then cool. 3. Melt the Butter in a small saucepan & stir in the Turmeric, Cayenne, Black Pepper, Nutmeg, Cloves and Ginger. Put the cooled Cauliflower in a large bowl and season lightly with Salt. Drizzle the butter over it, toss gently & transfer to an oven-proof serving dish. 4. Heat the oven to 425 degrees. Roast for 30 minutes.